Schleswig Fire Department was established in 1903. 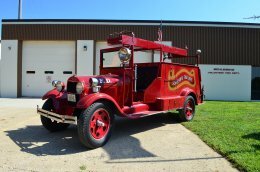 Originally the Schleswig Fire Department was comprised of Hose Company #1 covering the business district and Hose Company #2 covering the residential area. The fire department was comprised of 15 members, including 6 members in each Hose Company. In February of 1913 the Schleswig Fire Department purchased its first fire bell. In 2003, this bell was repositioned in front of the Schleswig Fire Station. 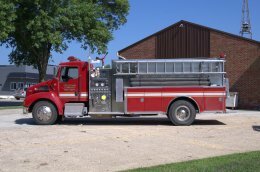 Today, the Schleswig Fire Department has 25 members equipped with three fire trucks. Emergency Medical Services are provided by six trained Emergency Medical Technicians equipped with a new emergency vehicle. In 2003 the Schleswig community raised $100,000 in donations for the purchased of an emergency medical vehicle. This vehicle was built as a special order to provide the Schleswig community the best emergency medical care. Schleswig is patrolled by the Crawford County Sheriff Department. The Sheriff's Department patrols the county with 10 patrol officers. Three of these officers reside in Schleswig. The crime rate in Schleswig is almost zero according to Crawford County Sheriff Jim Steinkuehler. The Schleswig Public library offers a selection of 9000 books including a large children's selection and selection of large print books. The library also has periodicals and newspapers including print or microfilm of The Schleswig Leader back to 1909. The Library is open Mondays 3:00 P.M. to 8:00 P.M., Tuesdays 9:00 A.M. to Noon, Wednesdays 3:00 P.M. to 5:00 P.M. and Saturdays 9:00 A.M. to 2:00 P.M. The Schleswig Library is part of the WILBOR consortium. Patrons are able to check out books on their e-readers and computers at home. The library has a monthly "Patrons bring their lunch" program. The community is invited to bring their lunch and be entertained with presentations of travel experiences, handy crafts or other Interesting topics. These are usually held the 4th Wednesday of the month from April through October. A full archive of the Schleswig Leader from 1909 to 2007 is on the internet in digital form click here to view. 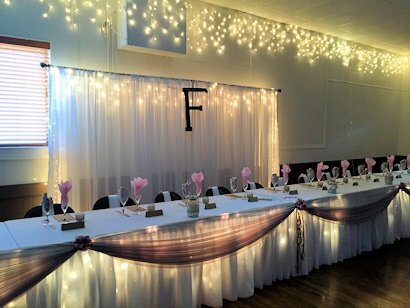 Available to rent for wedding receptions, anniversary parties, birthday parties, meetings, and family gatherings. To make reservations, please call Lila Bubke at (712) 269-4969. 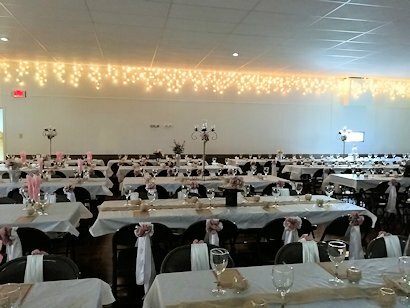 The Schleswig Community School is a small, rural, district located in Crawford County Iowa. Denison, Iowa, is 12 miles south of Schleswig. Ida Grove, Iowa, is 14 miles north of Schleswig. Schleswig is a community settled by German immigrants in 1899. The school reflects the strong family culture of the community. Education has always been a very important aspect to the families living in Schleswig, and the community has always supported the school financially as well as having community participation in school events. The achievement levels of students attending the Schleswig Community School rank in the upper brackets nationally. There is great pride by faculty and community members, as well as students, in the success of those who attend our school. 125 square miles located on US highway 59 and Crawford County E-16. The district has an enrollment of 300 students in grades K-12. The classes are small and one on one teaching is considered the norm. Schleswig has very few minority students. About 1/3 of the students in the district receive free or reduced meals. Schleswig is currently in a sharing agreement with Denison Community School. Students in grades 9-12 attend classes in Denison (located 12 miles south of Schleswig) and the K-8 students all attend classes in Schleswig. The teaching staff has 20 teachers. There are also several educational aides that assist in classrooms. Aides assist the teachers with reading, math, and other core content subjects to ensure mastery of skills. There are 25 support staff members that make our school efficient and very attractive. The administration works as a liaison between the community and the staff to keep the school a truly “community” school. The district boasts of its cutting edge technology. All grades (K-8) have clearly defined learner outcomes in the field of technology. Students in grades K-3 work with computers to reinforce basic concepts in math, reading and science. Students in grades K-6 use the CCC (Computer Curriculum Corporation) program for such reinforcement. Students in grades 1-6 use computer generated tests in the Accelerated Reader Program to help increase reading comprehension. Keyboarding begins in grade four. Keyboarding proficiency is tested each year in grades 5-8. Middle school students will all be proficient in word processing, database, and spreadsheet. In addition, those students will each have prepared and presented media presentations via PowerPoint or other presentation programs. The presentations are done in the media presentation room and each student will access, present, and answer questions on the assignment presented. Students will be expected to research the subject, use digital pictures (when appropriate), and scan or insert media into presentations. All students in Schleswig have taken supplementary learning classes through the ICN. (Iowa Communication Network) The ICN is an interactive, two-way communication classroom in which students speak directly to teachers in other locations. We have had classes interact with classrooms as far away as Wales. The modern, one story building is completely handicap accessible and has modern equipment that makes the rooms aesthetically pleasing as well as promoting a comfortable learning environment. The addition of a gym in 2016 is designed primarily to enhance learning opportunities for the students. The gym is also available to the public. The building is completely air-conditioned which creates a good learning environment in the hot days in the spring and fall. In addition to the K-12 public school, Schleswig has an early childhood center that houses students in pre-kindergarten special education as well as students in HeadStart classes. The district holds a summer remediation program as well as a summer enrichment program. This has been a very popular feature in the district and the summer classes normally have a waiting list. These test results rank Schleswig in the upper quartile in the state and nation. Our staff, our parents, and our community are proud of these results. For more information on the achievement history of our school, or if there are any questions about the district, one may contact the Superintendent's office at 712-676-3313 or visit our web site http://www.schleswig.k12.ia.us. In Schleswig, we are Making a Difference. Crawford County Memorial Hospital is a modern facility, capable of meeting today's needs and any additional demands brought about by increased population. Seven family practitioners and two residency-trained surgeons, two nurse practitioners and a physician's assistant serve the county. Consultation and specialty services are provided by more than 30 other physicians who have privileges at CCMH. Some of the Services offered at CCMH include: 24 hour Ambulance Service, Cardiac Rehabilitation, Coronary & Intensive Care Units, Emergency Room, Laboratory Service, Lifeline, Nutritional Consultation, Obstetrical Care, Physical Therapy, Occupational Therapy, Radiology, Respiratory Therapy, Speech Therapy, Surgery, and other Specialty Outpatient Clinics. For further information including calendars of clinics please visit Crawford County Memorial Hospital on-line. Horn Memorial Hospital has a staff of four physicians and three physician's assistants. Some of the services offered at Horn Memorial Hospital include Pediatric Acute Care, Emergency Care, Family Birthing Center, Home Health Care, Hospice Care, Inn Care (Custodial), Medical and Surgical Care, Outpatient Care, Same Day Surgery, and Skilled Care. Visit Horn Memorial Hospital's web site for further information.